Jeff’s Naturals Can Now Be Purchased Online at Jejo’s Market! When it comes to shopping and meal planning, we think convenience is a good thing. That’s why we were thrilled to learn that Jejo’s Market, a wholesome food and wellness products e-commerce retailer, has recently added products from the Jeff’s Naturals all-natural line of olives, peppers, artichoke hearts, capers and sun-dried tomatoes. That’s right, you can now purchase your favorite Jeff’s Naturals products from our comprehensive collection of pantry staples to use in your favorite meals when you click here. Jejo’s Market is keeping with current health-conscious eating trends by offering consumers new ways to shop for natural and organic options from the convenience of their own computer or smart device. 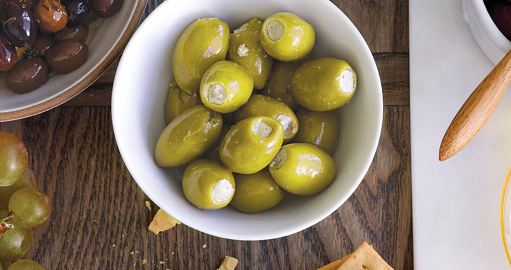 Jeff’s Naturals products are a natural fit for the company since our products are certified non-GMO, certified gluten-free and certified vegan (*excluding our cheese stuffed olives) and contain no preservatives, additives, sulfites, artificial colors or flavors. Here’s a tip: Jejo’s Market offers free shipping for orders over $49! Visit our brand page and stock up on your favorites today! For busy families, the slow cooker can be a real time and energy saver. There is nothing more comforting than coming home and having a delicious, hot meal ready to for the whole family to enjoy. 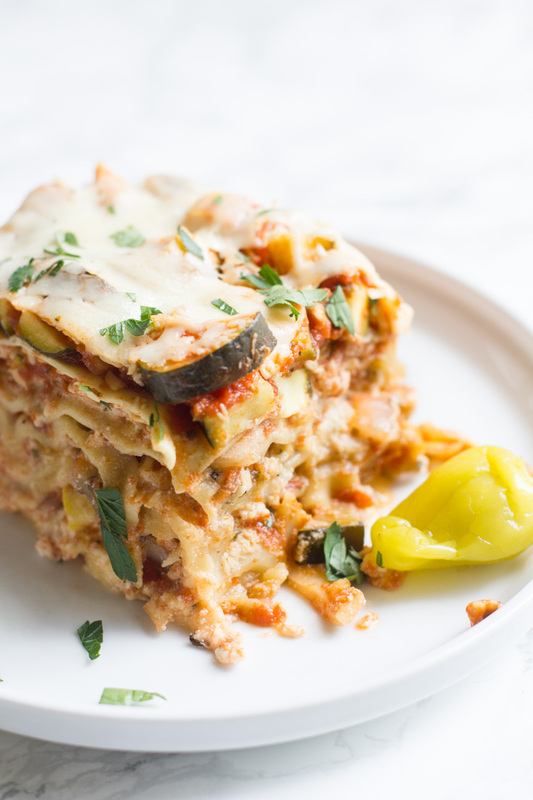 This slow-cooker vegetable lasagna recipe makes for an easy dinner and puts a nutritious and delicious Mediterranean twist on a comfort food classic. All you will need are some fresh veggies from your local farmers market or grocery store and some everyday pantry items like marinara sauce, lasagna noodles and of course, jars of your favorite Jeff’s Naturals Mediterranean pantry staples. This recipe calls for Sliced Golden Greek Peperoncini, but feel free to add your own flavors like Organic Sliced Greek Kalamata Olives, Roasted Bell Pepper Strips, Marinated Artichoke Hearts and more! Sometimes a classic recipe needs a little extra something! Try layering your favorite lasagna with sliced peperoncini for a new dimension of flavor. In a large saucepan, bring the marinara sauce and 2 c. water to a simmer. Add the zucchini, onion, squash, eggplant and peperoncini and stew, on low, for 5-10 minutes. In a medium-sized bowl, combine the ricotta, oregano, parmesan and mozzarella. Season with a pinch of salt and pepper, to taste. Spray the inside of a 2.5 qt. casserole crock pot* with non-stick spray and spread a thin layer of the sauce on the bottom. Place the lasagna noodles on top in a single layer. Some overlap is fine. Spread about 1/3 of the ricotta mixture on top, then spoon the vegetable and sauce mixture on top of that. Sprinkle with a layer of mozzarella cheese. Repeat this process two more times, ricotta, vegetables and sauce and mozzarella cheese. On the top layer, place lasagna noodles, the remainder of the sauce and vegetables, then mozzarella cheese. Cover and cook on high for 4 hours. Garnish with chopped Italian parsley (optional) and serve warm.